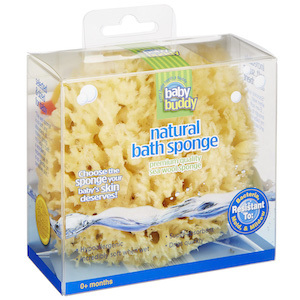 Before using your Natural Bath Sponge, be sure to wet it under warm water to soften and inspect. Sea sponges are by nature stiff when dry, but become very soft when wet. Once wet, inspect your sponge for any sea particles (i.e., coral, shells, or sea debris). We carefully process and clean all of our sponges; however, we recommend that you check them yourself before the first use. If you have any issue, please contact us at (404) 373-5445 or here4you@compacind.com, and we will be happy to answer any questions and resolve your concerns. Using a mixture of one (1) tablespoon of baking soda per cup of water, soak your Natural Bath Sponge for 15 minutes each week or two. Then rinse and allow to air dry. In addition to thoroughly cleaning the sponge, baking soda revitalizes the sponge’s cellular structure for increased durability. Please note that while sea sponge naturally inhibit the growth of bacteria, regular cleaning, as well as allowing sponges to dry completely after each use, offer the best protection against bacteria in your sponge. If needed, you may disinfect your Natural Bath Sponge. • 1/4 cup of hydrogen peroxide and 1 cup of water. This will clean and re-bleach the sponge if it becomes discolored from use. • A few drops of tea tree essential oil in 1 cup of warm water. Tea tree essential oil is a very effective germicide and will also eliminate any odor on your sponge. • 1 Tablespoon apple cider vinegar or white vinegar in 1 cup of warm water. • 1 teaspoon colloidal silver in 1 cup of warm water. There is no pathogenic organism known that is not killed by colloidal silver in 6 minutes or less. • Never boil or microwave your sea sponge or dry it in a dryer, as this will harden the sponge. • Never use bleach or any product containing chlorine bleach, as it will irreparably damage the sponge. • Squeeze to dry. Do not twist or pull your sponge. If you notice ragged edges, trim loose pieces with a scissors. This will help to keep the sponge smooth and extend the life of it. Sea sponges are not manufactured, but harvested from the sea. As a result, variations in shapes are natural. Coloration can also change, as the sea is rich in sea minerals that your body loves, including sodium, magnesium, calcium, potassium, iron, zinc, and so much more! Some sponges, but not all, will have color variation due to the minerals where the sponge is grown.